Everyone wants to rank higher in the search results and one of the best ways to do so is to make sure you are following the latest rules and algorithm changes made by Google. With a new year just starting it means we have a lot of time ahead of us to work on our 2013 link building efforts. With billions of different keywords and search terms out there, knowing which are right for your web site is key. Go after long tail keywords and stay away from competitive generic terms. All incoming links to your site are great, but the most effective ones will come from sites that have the same type of content as your site. We now know that Google is not a fan of exact match domains and exact match anchor text, so make sure you take time to diversify your anchor text with words like “click here”, “visit” and your direct url. Just like Google doesn’t want to see all of your backlinks with the same anchor text, they don’t want to see all of the same type of sites linking to your site. Big or small, make sure to add a variation of link sizes to your methods. SEO and ranking is a very slow process, which means you can’t rush your link building. Stick to 1-5 links to your site and be consistent. Again, link building and seo management is a very slow process. Google only updates their page ranks every few months and the rankings in the search results jump around every day. Track your results and tweak over time. Duplicate content is one of the worst things that you can have on your web site. Whether other people are stealing your content or you are posting excerpts or rss feeds, it’s not a good idea. It’s also recommend that you stay away from article spinning as well. 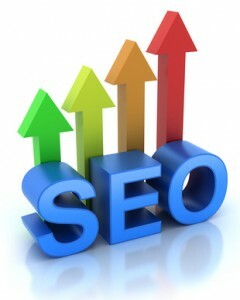 Follow these tips during 2013 and you will find much more success with your SEO and search engine rankings. Share your comment 2 responsesTO Seven Quick Tips for Better Search Rankings in 2013. Thanks for the WonderFul Tips For Search Rankings. PR is also considered as Important Factor. But i am confused about Creating backlinks. I mean which links really matter when PR update is considered? Dofollow or Nofollow? When PR is considered it’s dofollow but it’s getting to the point that all links have some value.